For one veteran of the mobile enterprise software industry, the ad tech world simply is not moving fast enough and remains bogged down by ineffective ad serving and management technology. 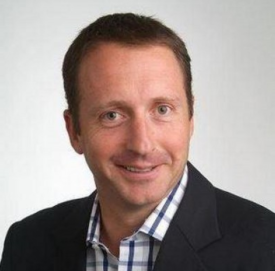 Matthew Talbot, senior vice president for BlackBerry Messenger (BBM), says he is stunned at the somewhat immaturity of ad technology for mobile in the Asia-Pacific region and has yet to see any robust tools available in the market today, compared to other tech industries. 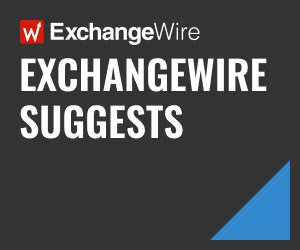 In this Q&A with ExchangeWire, Talbot also explains BlackBerry’s role as a publisher in the ad tech market and how programmatic fits into the vendor’s growth strategy, alongside its plans to establish private marketplaces in “key markets”. ExchangeWire: Most people wouldn’t think of Blackberry as a player in the ad tech market. Tell us about the company’s role and plans to grab a bigger piece of the ad tech pie. Matthew Talbot: BBM has been around for over 10 years on BlackBerry smartphones, but it was only in September 2013 that it was first made available cross-platform, initially to Apple iOS and Google Android users, then subsequently also to Windows Phone users. Since opening up BBM to all platforms, we have added over 250 million additional users to our ecosystem and it is now predominantly used on iOS and Android devices. BBM today is more than just a chat and voice application, and is really an ecosystem that brings together social, ads, content, and commerce. Like other social networks, we have accelerated our efforts to monetise BBM focusing on four key revenue streams: advertising, content, subscriptions, and payments. We turned on our direct ad server last July and today it generates more than one billion ad requests per day, which appear natively in a user’s feed and via channels. In January this year, we turned on our first indirect demand partners and now work closely with the likes of InMobi, AdMob, Smaato, Axonix, and AdFalcon to help fill excess inventory. We also have direct resellers in markets including Indonesia, South Africa, Nigeria, the Middle East, Canada, and in some countries in Latin America. We work closely with them to maximise some of our unique native inventory and video. As new kids on the block, the past year has proven a steep learning curve for us; but we are now about to embark on a more programmatic path, starting with a number of private marketplaces (PMPs) in key countries. Can you elaborate on how programmatic fits into the BlackBerry scheme of things? We see programmatic as critical to scaling our ability to work with demand partners – be it key direct customers, our indirect demand partners, or the major trading desks around the world. Programmatic will allow these key partners to buy from us directly via their own demand-side technology partners or in-house DSP solutions, instead of the manual IO process we have in place today. This should remove friction from the buying process, create greater efficiencies, and simplify life for our customers. While this forms the basics of programmatic today, it is a significant change to where we have come from. Our initial direct ad server, which was deployed in July 2014, gave us little flexibility and was inherently a complex, manual IO process. We recently replaced that custom platform with DFP (DoubleClick for Publishers) for direct sales. We’re trying to take advantage of that scale going forward and, at the same time, establish PMPs in key markets, allowing partners initially to buy programmatically from us with a set inventory or via RTB. Not only will this help our demand partners, it will also help us enhance the value of our inventory as we expose more data detailing how and what our audience buys via RTB and private deals. Can you explain why BlackBerry is keen to open a private marketplace and discuss the roadmap for this? The RTB or exchange landscape should be beneficial for both the demand- and supply-sides, and there needs to be a happy middle ground. In the past, it has swung too far between the extremes of the two. The more we enable PMPs, the more we will be able to enhance the value of our inventory and provide a more efficient process, both internally and for our demand partners, as well as have the ability to scale, which is important to us going forward. While market dynamics often determine price, there is a strong case for publishers to influence pricing, such that it reflects the value of their content. Initially, we made inventory available on the open exchange, but the sheer volume of impressions that were made available resulted in deflation of eCPM when, actually, the high performance of our ad units merited a much higher price point. This also doesn’t always lead to a positive outcome for the demand partners. One of the knock-on effects for demand resulted in advertisers accessing some of our less valuable impressions, and performance was not always at the level the advertisers had previously experienced from us when buying directly. By moving to PMPs in some markets and reserving our best, data-enriched inventory for invite-only access, we can increase the performance of the inventory for the advertiser and provide greater control over access to required volumes. We expect to have this capability in place in the coming two months. Although we would love a one-size-fits-all solution, due to the relative fragmentation of the mobile ad tech industry, we will need to be flexible in determining who we partner with in different regions to facilitate our move into programmatic, until we see increased alignment at the global level. Where are the growth opportunities for BlackBerry in Asia-Pacific? It is no secret that Indonesia is a very large market for BBM. Drive from the airport to downtown Jakarta and you’ll see all the handset billboards promoting themselves as ‘BBM enabled’. That said, we are also strong in other Asia-Pacific markets, including Malaysia, the Philippines, India, and Taiwan. What are some key challenges BlackBerry, as a publisher, face in the Asia-Pacific ad tech industry? I came into the ad tech world after more than 20 years in mobile and the enterprise software space, but I’m surprised at the relative immaturity of ad tech for mobile –specifically, when it involves ad serving technology, the mediation layers taking into account native and standard ad types, and the ability to manage various demand sources, direct or indirect. We may have a naïve outlook on this, but I don’t see consistent evidence of robust solutions being offered for mobile today, compared to other tech industries. I’m sure these exist for ads delivered into a web browser, but this is yet to transition to mobile in all its guises. We have seen this firsthand when working with potential partners for our direct server and, more recently, in scoping out the requirements for our mediation layers and opportunities like PMPs. There have been suggestions of a publisher co-op to provide a common inventory from which marketers and agencies can more easily tap. What are your thoughts on this? We have been invited to join such co-ops by our demand partners in the Middle East and in Africa, where they will sell the audience and we become one publisher among many that will deliver this inventory. While we do see some common benefits, such as monetising audience overspill that other publishers cannot fulfil and where we previously might not have received ad revenue, there are challenges here. A co-op could end up devaluing our inventory and there still needs to be a unifying piece of tech to facilitate the integration. If there are issues in enabling that technology, a co-op becomes more difficult and a strong business case is required to justify the development time and resource. That said, we always are keen to benefit from increased sources of demand, so we continue to keep our eyes on developments in this area. Also, having come from the tech industry, I am always supportive of standards across the board: they are the best way to scale the industry and make it robust. So, in that respect, we’re always open to evaluating initiatives like a common inventory via a publisher co-op. Some Asia-Pacific brands have highlighted challenges with having to manage multiple data silos and lacking a holistic view of their campaigns. Do you agree with this assessment? And, if so, how would you suggest they resolve this? I agree this is another big challenge, underscoring the fragmentation that still exists in the industry today. Mobile technology, for instance, has given us the opportunity to measure success at different levels. But there are myriad reporting solutions, attributing partners to support, and different models emerging all the time. On top of that, we have a whole range of ad-charging mechanisms that are evolving – CPM/CPV, CPI, CPA, CPC/CPE, CPF, and CPL, just to name a few. Standards will, of course, help; but I don’t see this being resolved in the short- to medium-term, because the market is continuing to evolve, and advertisers’ expectations are higher than ever for increased availability of and access to data. What are key gaping holes that ad tech vendors still need to plug? The key gaps right now are around programmatic and mediation. Vendors need to be able to support both native and standard across both direct platforms and indirect partners. I am not aware of any one, complete solution as yet; and being tied to one platform makes no sense since this prevents you working with other industry players. We see trading desks moving away from using a multitude of different programmatic solutions towards using a relatively small number in order to retain consistency of data, targeting, and reporting. However, there is still a long way to go. In addition, mediation on the publisher side is a big challenge and it is not always easy to ensure your order of preference for demand is correctly aligned. We are likely to continue using a combination of ad tech providers, while developing certain parts of the mediation layer ourselves to ensure we can work across all demand partners, both native and standard.